Alex Jones, who manages to give tinfoil-hat conspiracies a bad name, may have just had the legs kicked out from underneath his empire. After years of relying on Twitter to spread hateful messages that national tragedies such as Sandy Hook and the Parkland school shootings were hoaxes, the social platform has finally given Jones the boot. In particular, a video Jones posted of him harassing a CNN reporter seemed a bridge to far for Twitter. Just how Jones managed to evade that policy in the past was left unsaid. 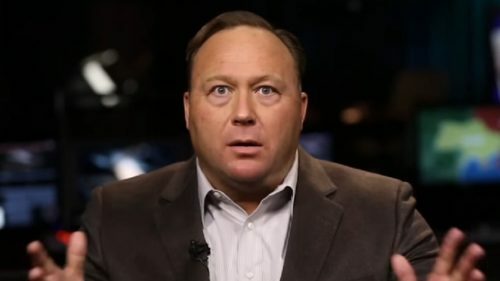 Jones and his InfoWars brand have also been banned from Facebook, YouTube and Spotify. Kicking him off the social platforms is bound to hurt. Jones boasted before Twitter’s action that the previous bans would only make him more powerful. “The more I’m persecuted, the stronger I get,” Jones said on his live internet broadcast, according to New York Times. Web traffic shows that claim to be another hoax. Before the bans, about 1.4 million people visited Jones’ website daily (in itself a scary fact). Afterward, the number dropped by half. With his crazy ideas and incessant attacks on the LGBTQ community, among many others, Jones is finally getting his comeuppance. But Twitter is a cesspool of crazy. Jones may be the most visible proof of that, but there are plenty of others. Moreover, Republicans have are promulgating their own crazy conspiracy theory that Twitter and other social media platforms have it in for conservatives. They hauled Twitter CEO Jack Dorsey before a House committee this week to address their belief, which handily coincides with election fundraising efforts. It’s a sad testament that what the GOP classifies as “conservative” now includes the likes of Jones and Laura Loomer, another conspiracy theorist who interrupted the Congressional hearings. It’s also a testament to how technologically ignorant many Republicans are in general. Rep. Kevin McCarthy, who wants to be Speaker of the House, complained about Laura Ingraham being shadowed banned in his Twitter feed only to be schooled by the Twitterverse that the problem resided with his own settings. Yet, the conservative rush to embrace its own victimhood aside, just how Twitter or any of the social media platforms police abusive or reprehensible posting is anyone’s guess. Jones has been such an egregious violator for so long that it’s hard not to conclude that he became an easy target for social media platforms hoping to look like responsible corporate citizens. So, for the foreseeable future, Jones’ expulsion will remain the exception not the rule. Until there is a concerted effort by social media to take away the megaphone from the crazies and hatemongers, Twitter and other platforms will still be helping to spread messages that their own policies purport they abhor.